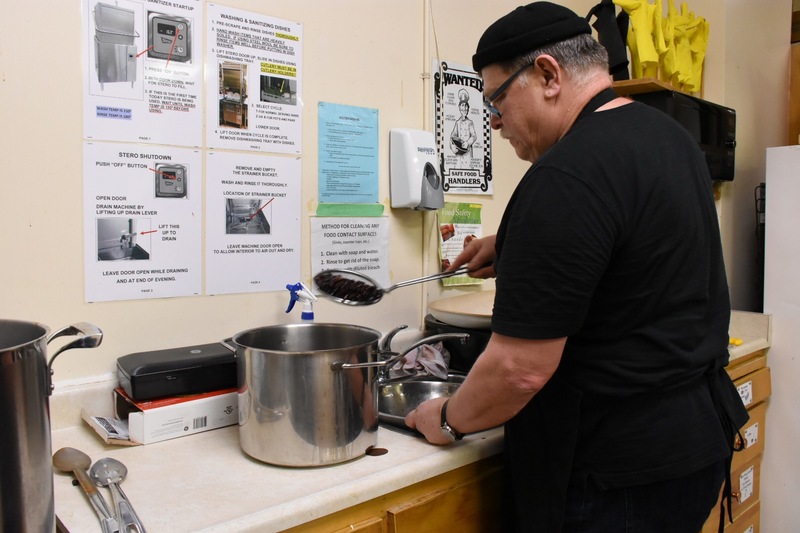 BELLEVILLE – The Inn from the Cold program at Bridge Street United Church has served the community for nearly three decades, and demand for the hot meals and warm shelter that it offers continues to grow. 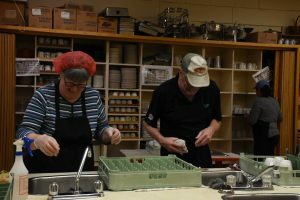 The program provides evening meals for the homeless and other people in need daily for six weeks. This year it started Jan. 18 and continues to Feb. 28. 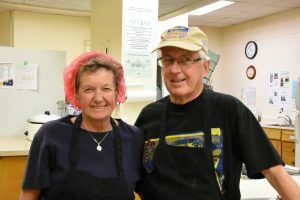 Inn from the Cold depends on donated or discounted-price food from the community, and volunteers who donate thousands of hours. Cash donations also help keep it alive. 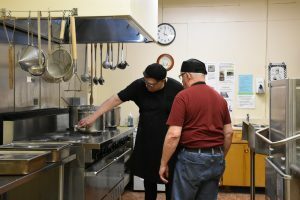 Anyone can walk into the church at 60 Bridge St. E. to have a meal and get warm. The doors open at 4 p.m.; hot soup and coffee are served at 4:30 p.m. Dinner is served from 5 to 6:30 p.m. 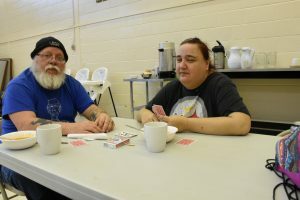 The program has seen a steady increase in the number of people who come in, according to Bridge Street United’s website. 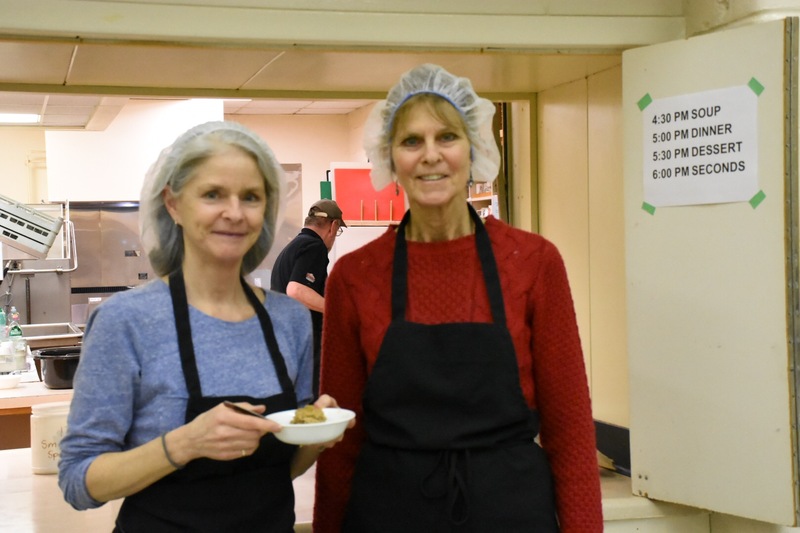 In 2016, volunteers served 5,400 meals. 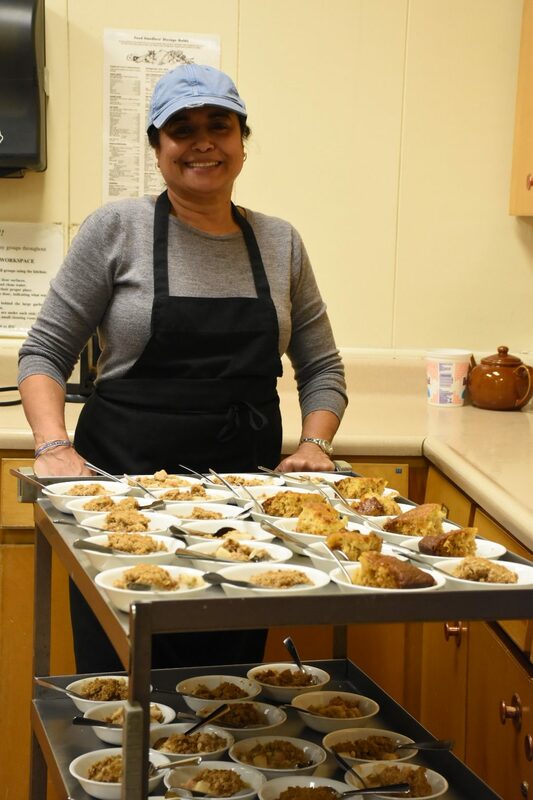 In 2017, 180 volunteers served 7,015 meals. Last year, 7,070 meals were served. 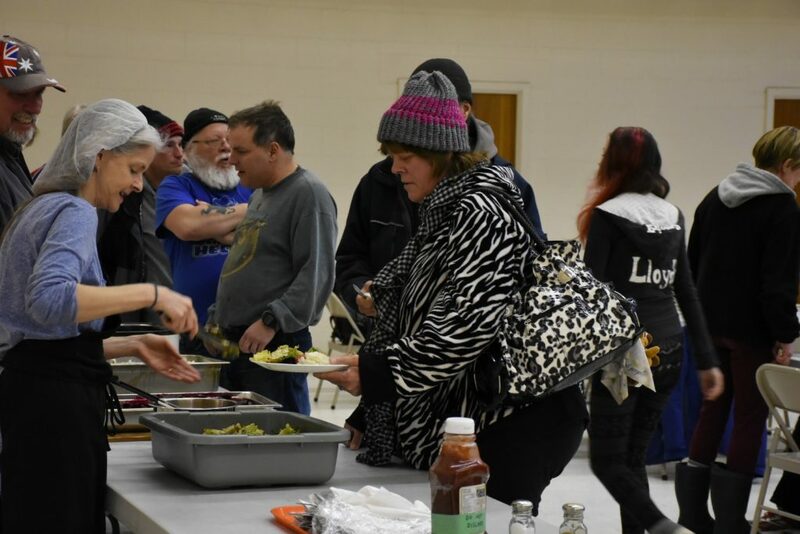 If people are unable to come to the church at the time the hot meal is served, they can register and pick up frozen meals between 2 and 4 p.m.
“Inn from the cold is an elaborate program,” co-ordinator Sue Catherwood explained when QNet visited on Wednesday evening. For the six week the program runs, the volunteers plan and serve a four-course meal – soup, salad, main course and dessert – every day, she said. The entire program runs on the basis of volunteers, some of whom have been there for 10 years, Catherwood said. Husband-and-wife team Gail and Gary Botting have been helping at Inn from the Cold for six years. 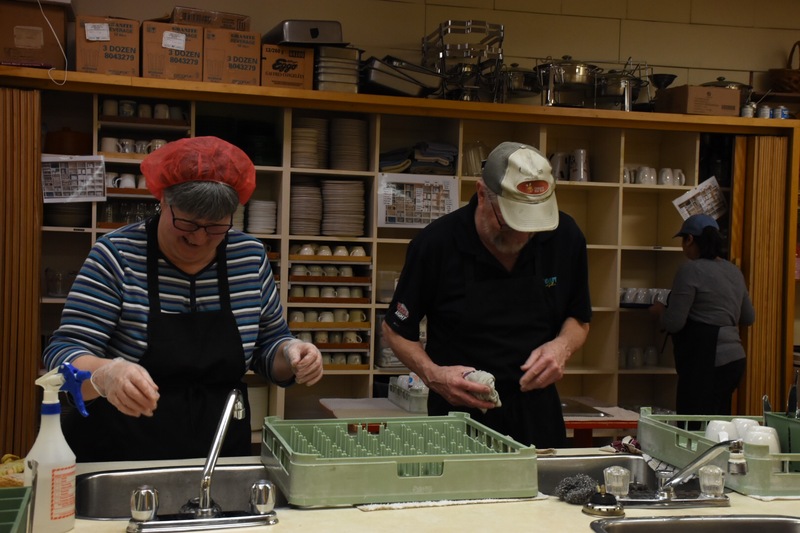 “People appreciate our effort and the program,” Gail Botting said. The other volunteers are friendly and it’s a great way to help the community, she added. 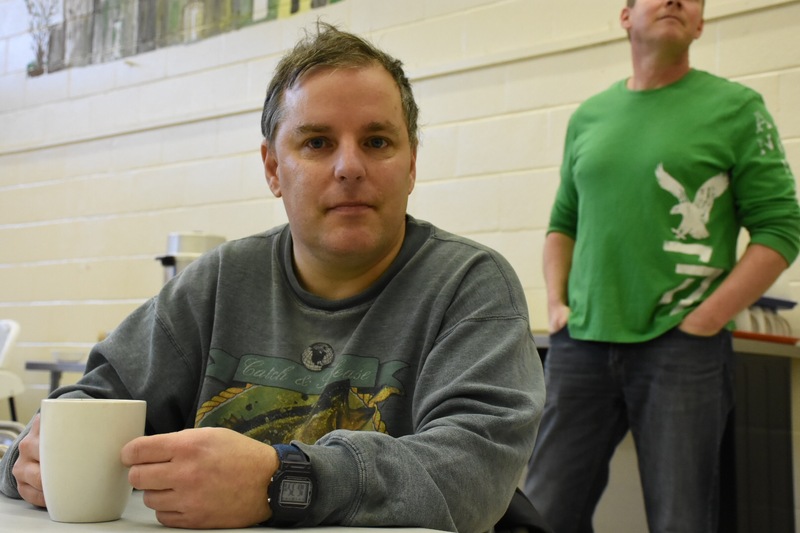 Rick Hammond, the chief chef and kitchen co-ordinator, has been there for 10 years. “I love to cook and feed people,” he said. 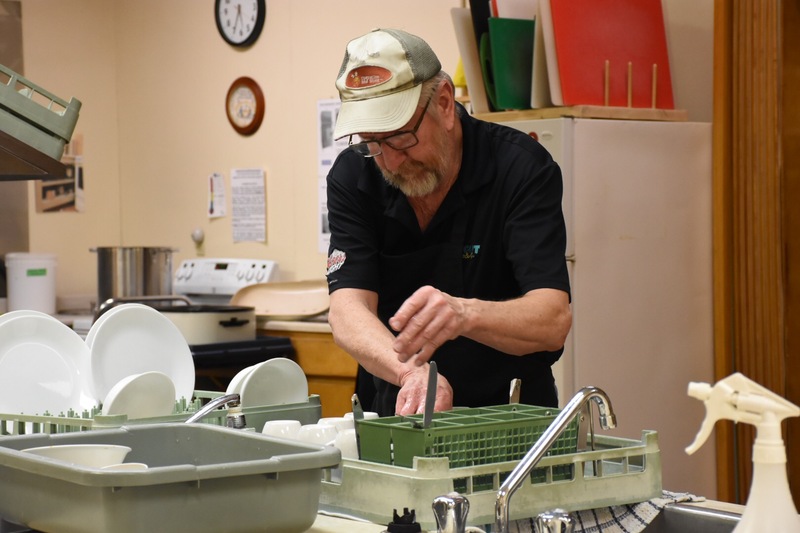 Joe Culp, another six-year volunteer, said it’s his “vision to give back to the community.” He volunteers with other community organizations and causes, he said. More helpers are always needed at Inn from the Cold, said Dave Jousett, who’s been doing it for five years. It’s a great program and it provides great meals to the community, Jousett said. Those who were stopping in for a hot meal on Wednesday evening agreed with that. 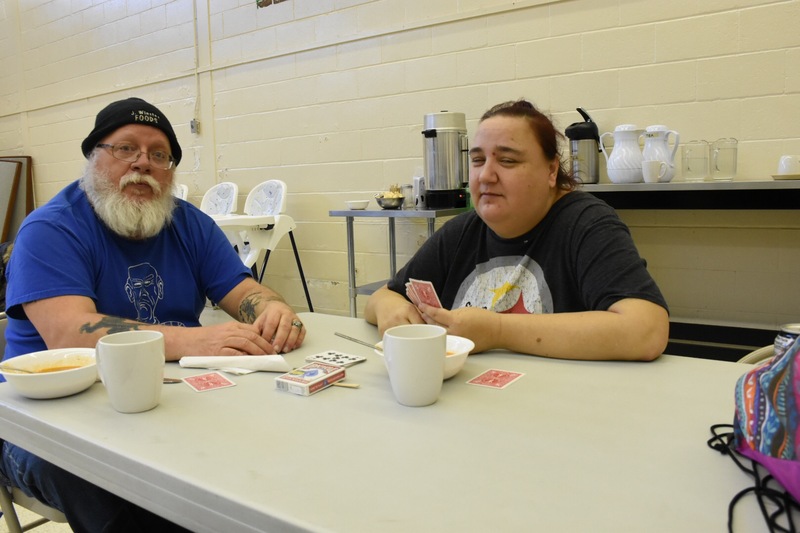 “The food here is tasty and nutritious,” said Jenn Courtney, who comes regularly. She also likes the chance to socialize, she said. Another regular visitor, John Regimbal, said Inn from the Cold fulfills a need that the city of Belleville has been slow to fill. The city doesn’t have many facilities for the homeless or people in need, he said – though he acknowledged this week’s opening of a new overnight warming centre. “The mayor should give himself a pat on his back – at least he did something that was overdue,” Regimbal said.